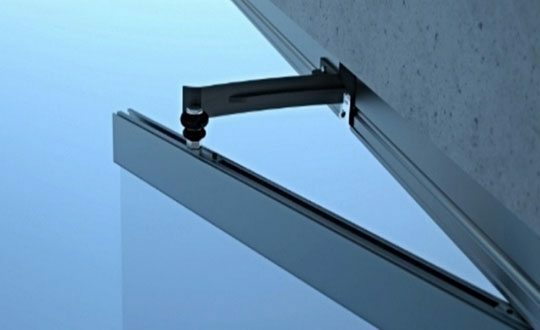 The Cover Glass USA top-hung folding glass walls consists of a specially designed panel suspended between our upper and lower steering profiles. Each glass folding panel is fixed into our glazing channels with stainless steel fasteners at the top and the bottom of each piece of glass, ensuring each panel is securely fit. Once attached to our wheels, each panel is able to freely slide along the inside of our tracks. 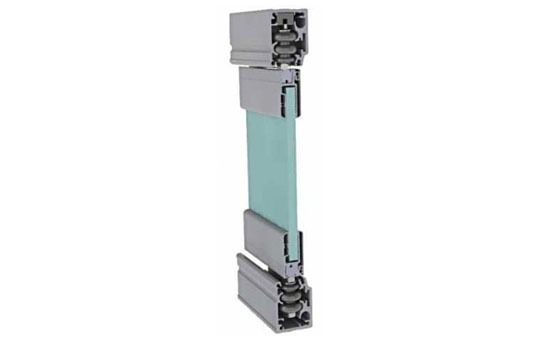 The Cover Glass USA track is 1 ¾” W x 2 ¼” H and consist of specially designed AL profiles made in compliance with DIN1748. 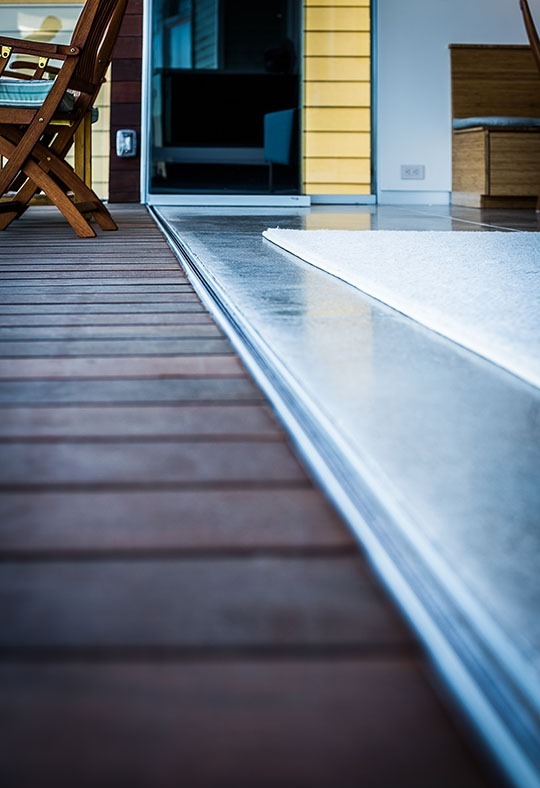 Depending on your exposure, profiles are either powdered coated or Kynar finished, allowing our track to endure environmental influences. All metal parts are non-corrosive stainless steel. 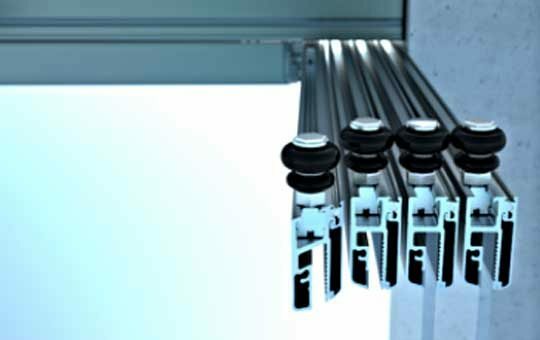 Additionally, our folding glass walls are in compliance with EN 12150-1, and we surpassed the requirements of the EN 12211 for Windload Resistance. 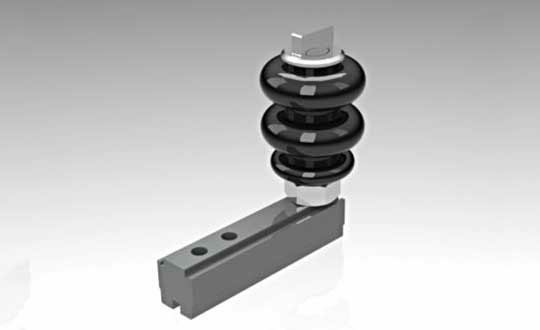 The tensile strength of our glazing profiles from our steering profiles exceeds 1890 lbs. The tensile strength of our gearing axle exceeds 3,560 lbs/axle. Our POM injected wheels, under random testing, were undamaged at loads exceeding 1,320 lbs. State-of-the-art glass technology engineered to accommodate any project.